The upcoming The Elder Scrolls: Legends Isle of Madness expansion hits on January 24, featuring double cards, new lane mechanics, and more. Today, we're showing off a heavy hitter that can lock your opponent's best cards out of the game. Meet Seducer Darkfire! Cards that can deny your opponent the ability to play critical cards and combo pieces have historically been quite powerful, perhaps the most notable being Magic: The Gathering's Meddling Mage. Seducer Darkfire isn't exactly easy to get on the board at a massive 7 mana, but it also comes with a dangerous 7/7 body that can kill an opponent even if there's nothing you need to lock out. Unfortunately, that also means that the cards you want to potentially stop from going off may have already been played by the time Darkfire can hit the table. You can also use the ability to target suspected removal spells that could deal with Darkfire, making it more likely that it will be able to swing over for big damage. 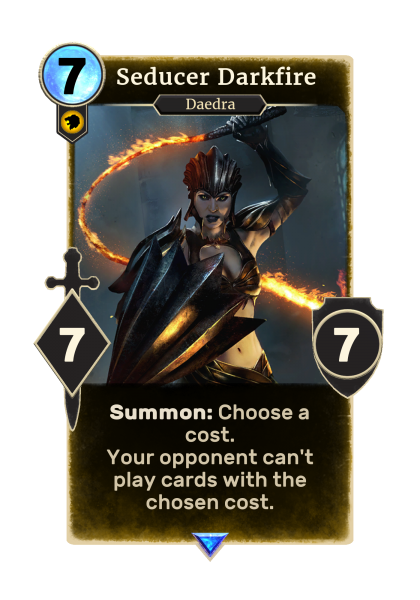 Advanced players and those that study the metagame are most likely to get value out of Darkfire, as knowledge of what your opponent is likely playing is essential to realizing the full potential from this card. 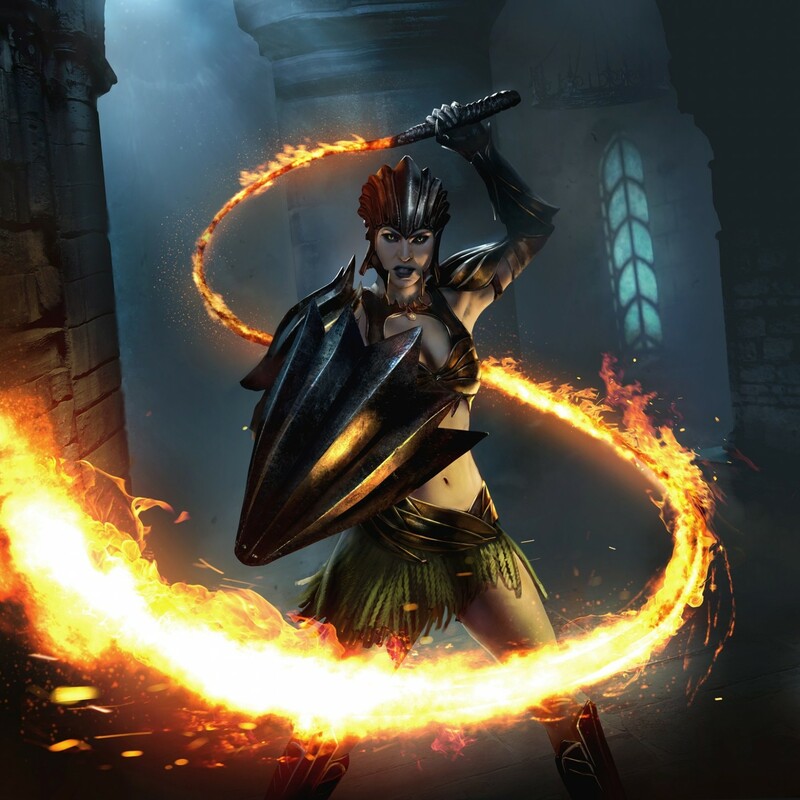 We'll see how players use the Seducer Darkfire when the expansion goes live on January 24.